This is our double reed call. 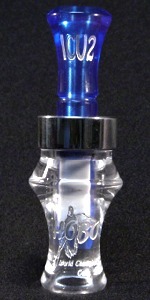 It was used to win the 2009 World Live Duck Championship. 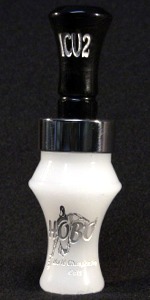 This new call will ring on the top and get low and soft. 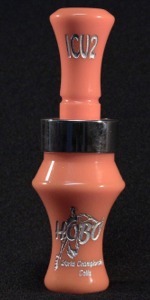 It blows easy and will give you the soft whines and quacks with a feed call that will fool ducks every time. It will give you the course, raspy sounds of ducks and still get the clean and nasally sound of Mallard hens. 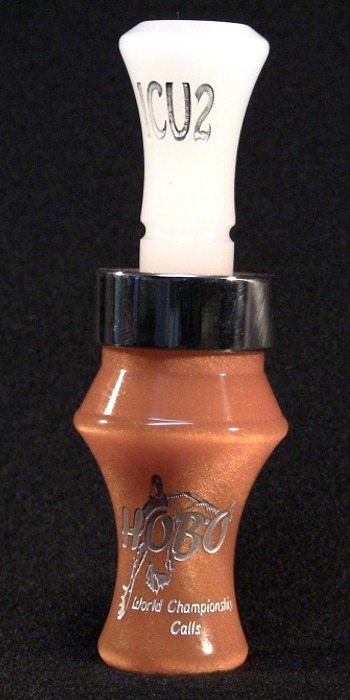 If you like a double reed, then you will love the new Hobo ICU2.